Despite the exertions of yesterday, we were all up together fairly swiftly and fairly early this morning. I did my packing and Sandy was stuffing the last bits and pieces into various bags as the kids were doing their level best not to annoy each other (rather unsuccessfully I have to say). It seemed that our last breakfast was looking like it would solve that problem and so we headed down there to top up for the day. As ever, the breakfast was just superb and everyone was able to have exactly what they wanted most. Just as we had finished eating and were getting ready to head out, we were once again treated to a spontaneous and unexpected serenade by a dozen or so staff and musicians for one final Isa Lei goodbye song. Once again, I found I was moved to tears. It’s such a beautiful song and I’m starting to wonder whether Sandy had hit the nail on the head by suggesting earlier in the week that we had somehow been singled out for special attention. In all our dealings with the Outrigger staff, we have certainly felt like we’ve been treated very specially. The rain and overcast skies were blown clear away last night and we emerged from the Vale Ni Kane buffet restaurant into near clear blue skies with 30 degrees of pleasant warmth. We spent the one last remaining hour at the resort by the pool with the kids enjoying one last splash around. As the kids were enjoying themselves for one last time, I took the opportunity to nip up to main reception to settle our bill. We had mostly paid everything by cash since we arrived, so as to maintain an overview of our level of spending, but some spa treatments, the SCUBA diving, a few meals here and there and other bits and bobs were put on our room over the course of the week. In addition to the nearly $3,000 Fijian Dollars that we had spent so far, the final bill came to just over $2,000 Fijian Dollars. Money that we spent whilst in Fiji on food, SCUBA diving, spa treatments, excursions, etc., came to a total, then, of AU$3,000 (Australian Dollars). All up, our Fijian holiday of bliss cost me a total of AU$10,900 (Australian Dollars) - plus whatever I lost in income for not working for the week. Best money I’ve ever spent. We reluctantly waved a fond farewell to the Outrigger On The Lagoon, as our private bus finally pulled away. Isa Lei, Outrigger Fiji. We truly had an absolutely fantastic time and we will miss you so very dearly. 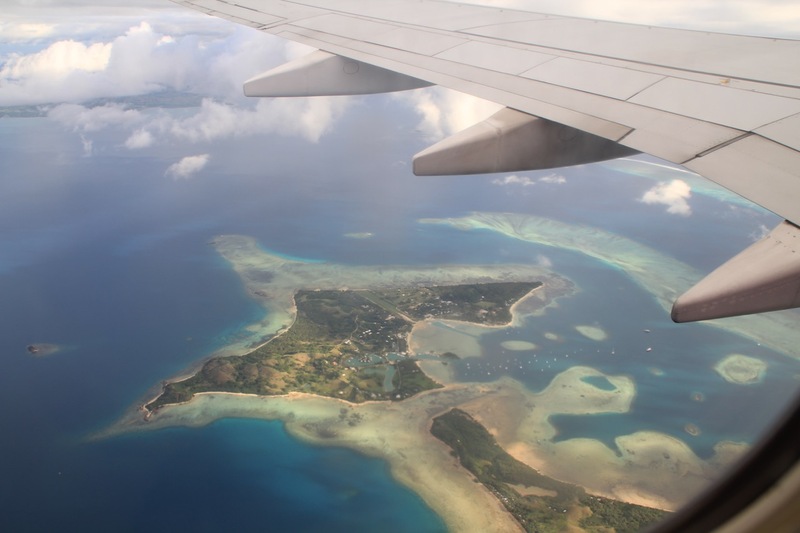 I hope to one day return again to these shores and to the warmth of the Fijian people.